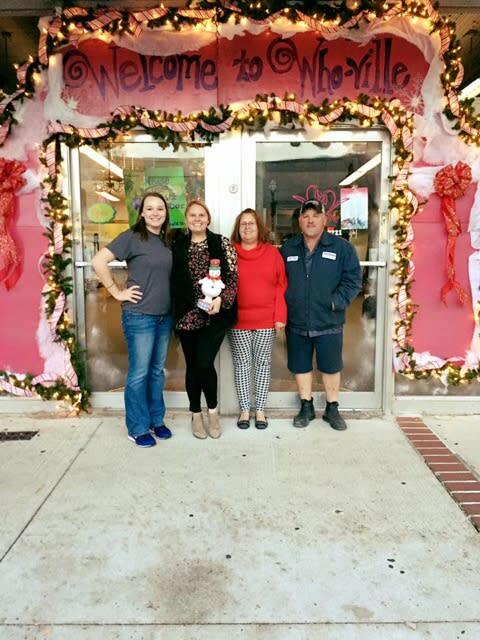 This year, Blossoms Florist was the winner of the downtown decoration contest. With a huge banner over their entrance that said “Welcome to Who-Ville” and lined with lights and garland, Blossom’s was a tough shop to beat. 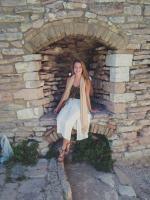 If you love the outside, you should check out the inside as well! 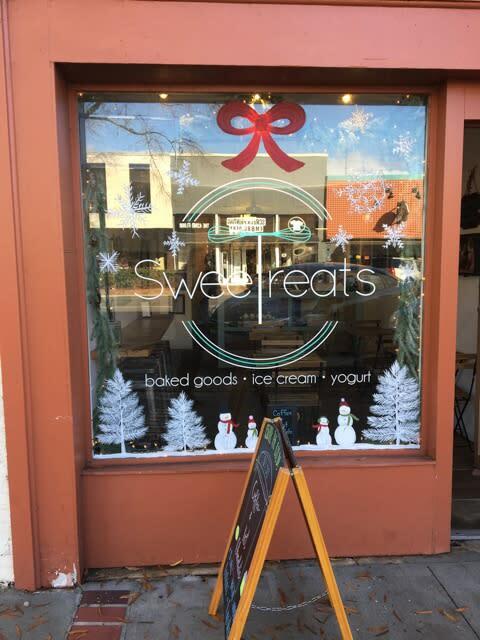 Every year, SweeTreats has had delicate snowy paintings in their storefront window featuring winter scenes with the prettiest snowflakes and pine trees. They also love to feature Elf on a Shelf in hilarious positions all over the store. After admiring their festive decor, go inside and enjoy a hot cup of cocoa with a scoop of ice cream inside. 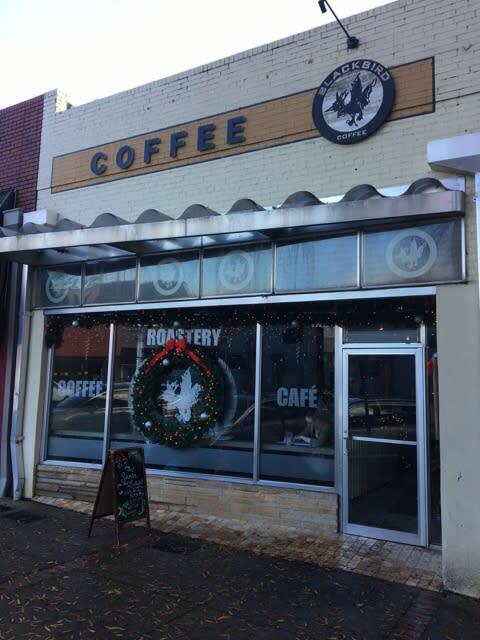 Blackbird Coffee has really stood out this December with their giant wreath. You cannot miss their incredible set up that has heads turning. Walk inside and you will enter into a Christmas wonderland with floating Christmas tree ornaments from the ceiling. Snuggle up in their cozy atmosphere with a mug of their amazing coffee, and you will be in Winter heaven. 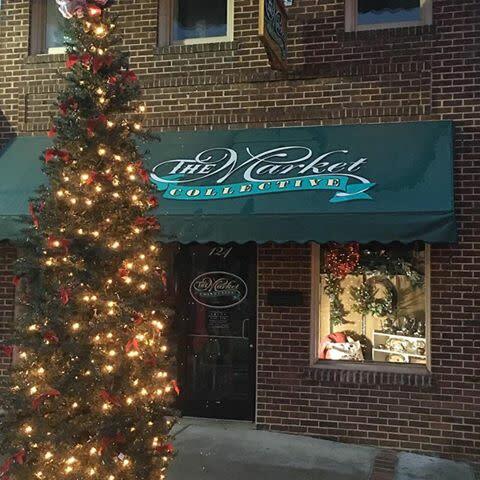 Market Collective’s gorgeous Christmas display features the cutest vintage props, comfy pillows and a giant tree outside. Their window will remind you of a stylish Christmas in your dream living room, with garland and bows to complete the design. Gringos always loves to put a fun spin on their decorations. This year, they gave a snowman with a mustache, sombrero and festive scarf underneath a banner made of Jimador tequila flyers. The best part of Gringo’s decorations, however, are their adorable presents that line the windows, each one with a name of an employee on it! 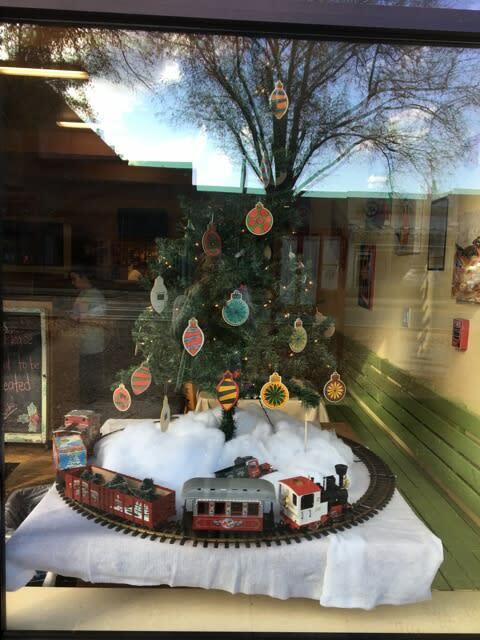 Local Yolkal has the cutest window feature this year with their mini Christmas tree and toy train that rides around the trunk. Santa would approve their simple yet sweet design which will remind you of Christmases at home with your family. 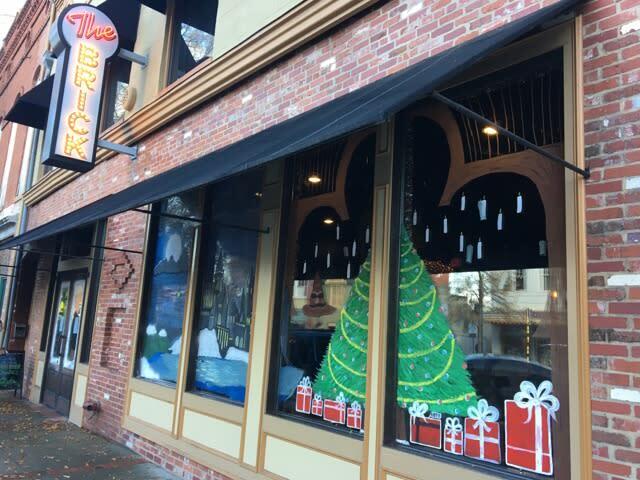 For Harry Potter lovers, The Brick will be your favorite place this Christmas with a Hogwarts themed window painting. It includes the famous castle and even a small golden snitch flying towards the quidditch field. The other side of the window has a beautiful classic Christmas tree with presents underneath.